At Sensory Goods, we believe that everyone has the right to receive the best care. Sensory Goods' Weighted Blankets continue to change lives by giving families and individuals the sleep they desire and deserve, at affordable prices. ✅Our gravity generating Weighted Blankets are known to provide relief and comfort. ✅Are comfortable and calming for sleep problems. ✅The Weighted Blanket from Sensory Goods has and continues to help those who do not have special needs, but like heavy blankets. Not only are Sensory Goods' Weighted Blankets effective, but they are made with high quality materials and diligent care. Along with the highest level of craftsmanship, Sensory Goods unique design keeps the Blankets modern, acceptable, and yet still calming and comfortable. Our Glass Beads make the pressure feel softer than standard poly-pellets and the weight is evenly distributed in a quilted pattern hidden within the blanket where no one can tell it's weighted. They are washer and dryer safe, and do not need to be taken apart. Also, Sensory Goods' Weighted Blankets are made to last, and we offer some of the most affordable Weighted Blankets. 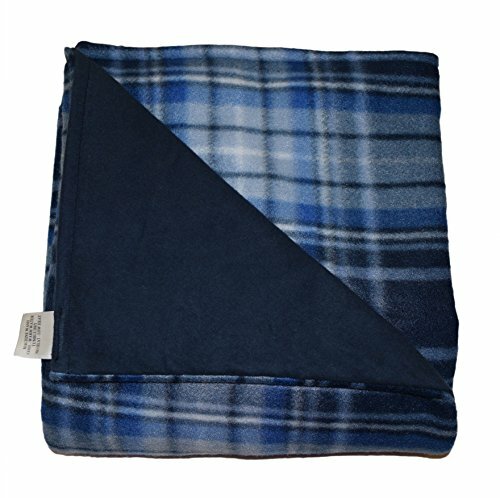 Every Weighted Blanket is custom made by hand and shipped next business day. You get to choose the color you want, making your Weighted Blanket fit you and your personality. Not only that, but you get to choose the weight too. All our Weighted Blankets are made by men and women who are committed to character, children and community in Arizona, USA. It's a hug from us to you! OFFERING A VARIETY of Deluxe sizes and weights. We have something for everyone: Deluxe Small 52"x40", Deluxe Medium 66"x42". Helps adults and kids with sleep problems. AS SEEN ON NBC'S PARENTHOOD. 100% product satisfaction is guaranteed. Filled with tiny sand like glass beads evenly distributed throughout. It looks like a normal blanket, so no one will realize it is a weighted blanket. Works through gravity induced pressure on the body to produce a natural sleep aid and help the person relax, fall asleep faster, easier and for longer periods of time.